You know what the official slogan of Oklahoma is? “Oklahoma is OK.” Which reminds me of those commercials—“Just OK is Which reminds me of my Oklahoma meal. 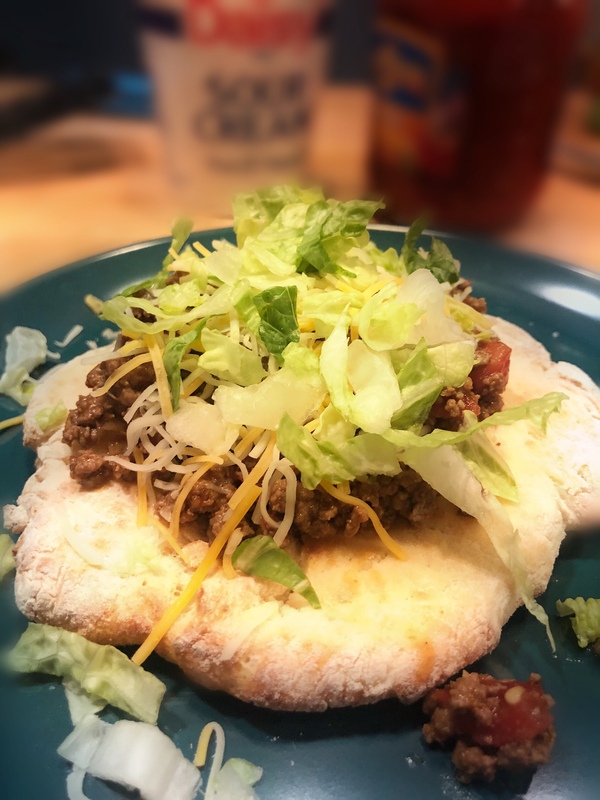 I made Oklahoma Indian tacos. My Oklahoma Indian Tacos…were not OK. Alright, maybe I’m exaggerating slightly. The meal was certainly edible and actually pretty tasty. But the process of making the Indian Tacos? Not so easy. 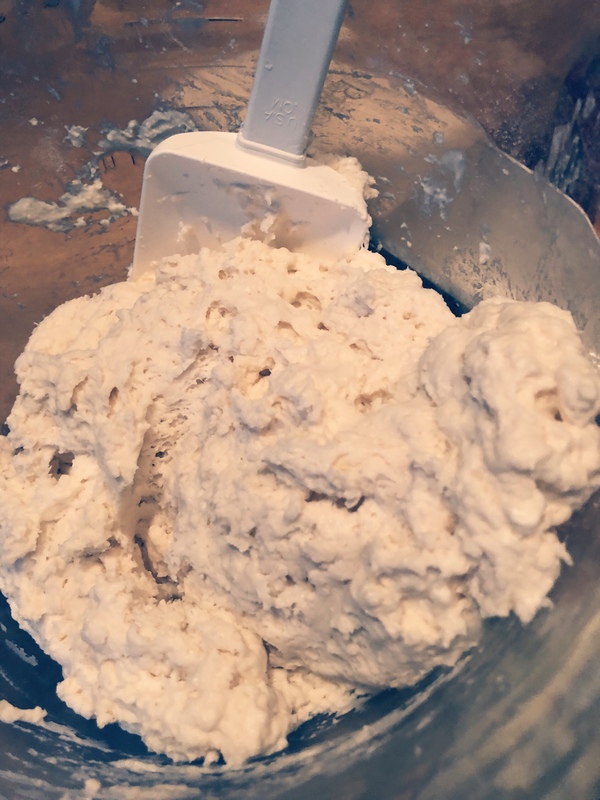 I had been lulled into a false sense of security when I found this recipe on Pinterest—the author swearing that it was a cakewalk and even a monkey could do it. I can take the simplest meal, like Indian Tacos—I’m pretty sure they made these over firepits on the Oklahoma plains—and turn it into an unmitigated disaster. I mean, I burnt the crap out of salmon. (See The Salmon Calamity) In all honesty, the actual taco meat making part was a cakewalk. 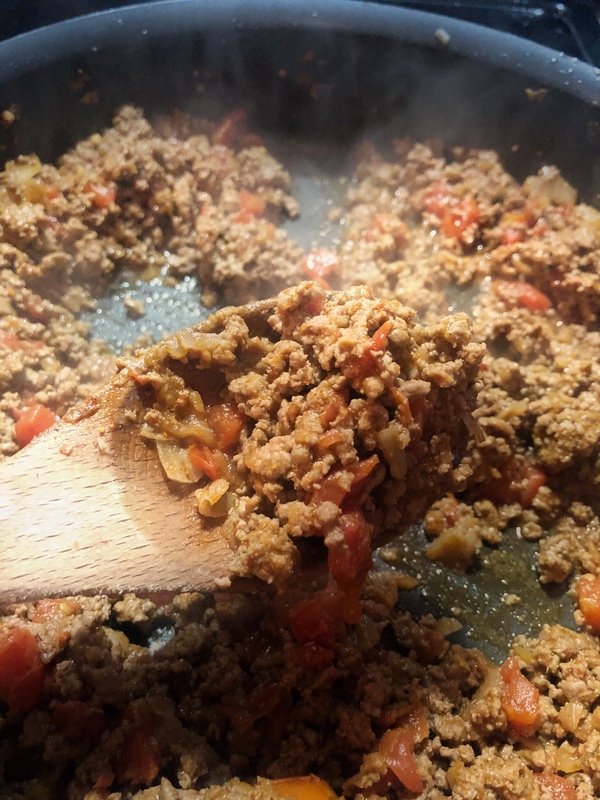 It involved browning meat, garlic, and onions, and then mixing in taco seasoning, water, and Rotel diced tomatoes and green chilies. I used a package of taco seasoning—if you want to make your own, check out this recipe for homemade taco seasoning. I even handled the onion chopping like a champ and only cried when I was actually sauteing them. My Pampered Chef chopper makes this so much easier. I barely have to touch the dreaded onions. It came out perfect, so buoyed by my success, I wiped out the pan and started making the second one. The pan was apparently too hot and had reached the smoke point of the olive oil…or something to that effect. Disgruntled, this is where I started muttering to myself. 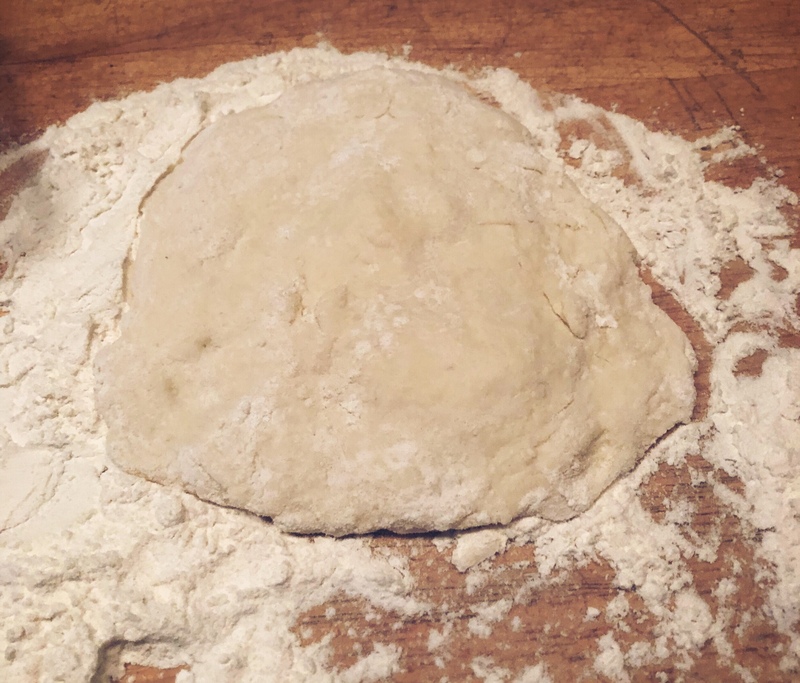 I had to make more dough since now I was down two fry breads. I started over again and it seemed like the bread was doing well. It browned nicely on one side. Then I flipped it over and all hell broke loose. Within seconds the kitchen was a smoky mess and the smoke detector was screaming about my cooking incompetence again. So this is when the tears sprang forth and I called for Hubby to save me. This is also when the lecture on smoke points occurred. And I rolled my eyes through my tears. Hubby proceeded to use peanut oil (apparently peanut oil has a MUCH higher smoke point than olive oil…eye roll, eye roll). He managed to cook one piece of fry bread without incident. Meanwhile, I finally realized that the air fryer might be just the place to make this fry bread without burning it. So while he made his piece of fry bread for the Indian tacos in the skillet, I made mine in the air fryer. Which was great because I didn’t use any oil AND it didn’t burn. After an hour of stress and tears, the fry bread was complete and I could move on to making the tacos. They were pretty delicious and a nice change of pace from the normal tacos we have. 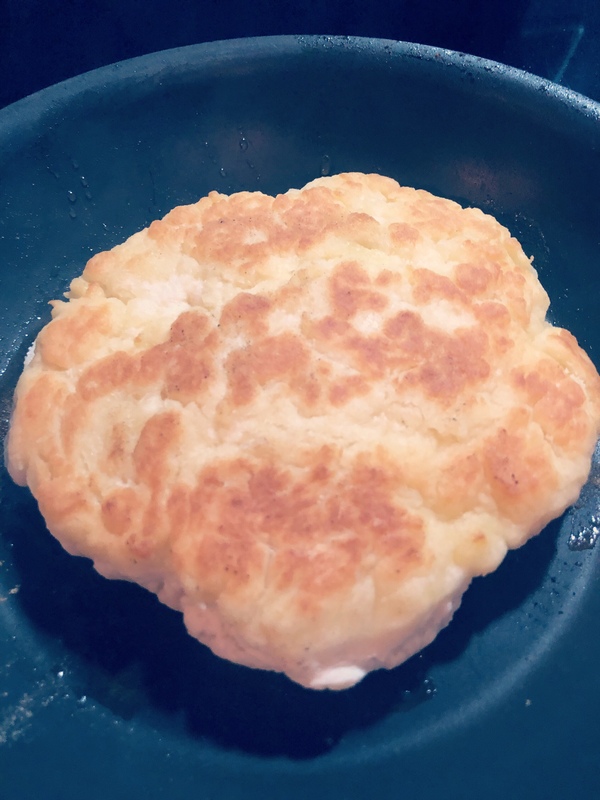 Now that I know the easiest way to make the fry bread is in the air fryer, I will definitely try these again. If you’re looking for a way to shake up your Taco Tuesday, try these Indian tacos this week.